When choosing a letting agent, consider what kind of marketing your property will receive. Your agents availability to do viewings in evenings and at weekends. This is critical to obtaining the maximum rental value for your property. You should also check if your agent will organise your legally required certification (Energy Performance Certificate, Gas Safe Certificate, Electrical Safety Condition Reports (EICR) and provision of smoke detection equipment . Campbell+ Dean offer only a full management service which is the key to achieving maximum rental returns on your property. Many tenants prefer renting managed properties and are often prepared to pay a premium for this. Instructing Campbell+Dean to manage your property gives you peace of mind that both your property and tenant will be cared for 24/7. Campbell+Dean will look after the general day-to-day management and more complex issues such as emergency repairs, collection of rent, transfer of utilities and much more. Consider addressing any DIY jobs you have been meaning to get done, add a fresh coat of paint where necessary. Ensure that the adequate smoke detection has been installed in your properties (see our Landlord Fact Sheets). Make sure the property is clean and the garden tidy. Campbell+Dean will then arrange for comprehensive colour pictures of your property to be taken and write a detailed property description. Before you let your property for the first time a comprehensive inventory and schedule of property condition will be completed by Campbell+Dean. This will set out the condition and contents of the property. For this to be done the property will need to be presented in the condition that it is to be let in. It should be clean and tidy and any items not forming part of the tenancy removed. Gas and electricity meter readings will be taken and Campbell+Dean will notify suppliers of these readings .The local authority will also be notified for setting up council tax accounts. To find the ideal tenant you need to give your property maximum exposure across a wide range of media. And many other property portals. Flexibility with viewings is essential to maximise viewing opportunities for your property. Accompanied viewings also mean we use our expertise to help let your property. 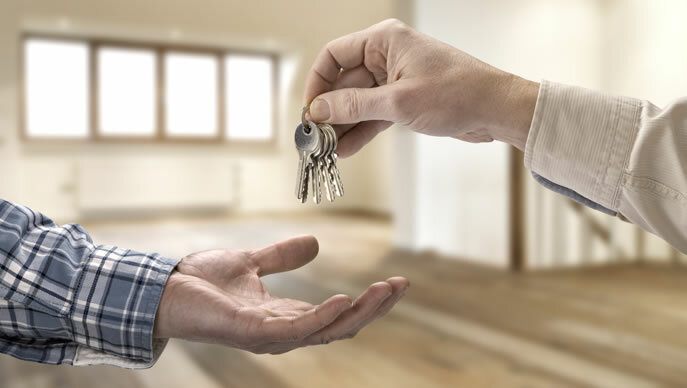 The vetting process starts at the viewing: We are already ensuring that any potential tenant would be suitable for your property during the viewing. When an application is received we will update you with the details of the applicants along with any special conditions to help you decide whether or not to accept. We will then: Collect references from the tenants including work and Landlord references, conduct a credit check, and collect proof of identity and current address. On the move in day the keys will be released to the tenant. The tenant will be given details of how to report maintenance and our 24/7 emergency contact number. They will also be advised that Campbell+Dean undertake regular property inspections, including a settling in visit. Rent payment will be made to your nominated account. Utility providers will be notified as well as the local authority.